When you have to work, the Y is here to provide your child with a fun and safe place to go after school. We provide a supervised, structured environment for children in grades K-6. Their activities include arts & crafts, games, creative activities, sports, snacks, and much, much more. We have afterschool sites at 5 different locations throughout our community. For more information, contact Patrick Wunschel, Priscilla Glasscock or Kerry Jones at 358-1446. Afterschool registration begins june 27 at 8:00 A.m. at the bradford branch! Time: School Dismissal – 6:00 P.M. When school is closed we don’t let the fun end! Children who participate in our Afterschool program can take advantage of our full day program! For more information, contact Patrick Wunschel at 358-1446. Join us for a Star Spangled Summer! Registration starts on Tuesday, February 12th at the Bradford Branch on McQueen Smith Road at 8:00 A.M.
fun field trips planned all summer long! The Y’s Summer Day Camp provides your child with summer adventures that promote a healthy spirit, mind, and body. They will spend time indoors and outdoors as experienced staff leads them in a wide variety of activities each day, including arts and crafts, archery, games, sports, swimming, off-site field trips, and more. 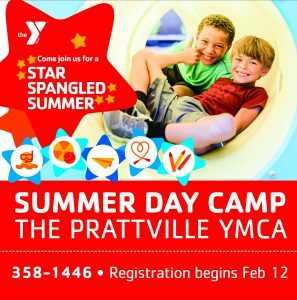 We offer three Summer Day Camp locations to meet your needs, Daniel Pratt, Main, and Pine Level. Contact Priscilla Glasscock, Patrick Wunschel or Kerry Jones at 358-1446 for more information. For one day only (February 12th) you will receive a $15 discount on the Registration fee. It will be $100 per child that day only. Starting February 13th the registration fee will be $115 per child. Optional Meal Plans will be offered again this year. Summer Camp Hours 7:00 A.M. – 6:00 P.M. 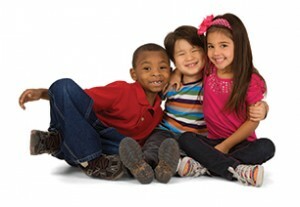 The Y offers a State of Alabama licensed preschool for children between the ages of 2 1⁄2 – 5 years old. Children must be fully potty-trained before enrolling in preschool. The mission of our Preschool Child Development Center is to provide child care in a structured learning environment that also teaches Christian values. We use the Houghton Mifflin Curriculum that has been approved for the K4 Programs by the State of Alabama. Children are offered electives throughout the year such as Gyminee Crickets, swim lessons, and tailored activities. We provide a hot lunch and two snacks daily. Contact Sandi Hanna at 358-1446 or shanna@prattvilleymca.org for more information. The Y is a great place to enjoy some great family time! Our play center offers you and your child an indoor play experience with slides, rope climbs, and more. This is a great way to spend quality time as a family! The Play Center Family Time is offered free with your Y membership. Punch card times are also available for your convenience. Monday: 8:00 A.M. – 4:00 P.M., 8:00 – 9:00 P.M.
Thursday: 12:00 – 4:00 P.M., 8:00 – 9:00 P.M.
*If there are no birthday parties scheduled, then free play is available. **If there is no Parents’ Night Out scheduled, then free play is available. Days & Times: Mon & Thurs: 4:00 P.M. – 8:00 P.M. The Y knows that every parent benefits from some time to enjoy for themselves. 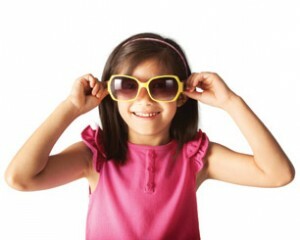 We offer an affordable and fun Friday night childcare option for your child twice a month. 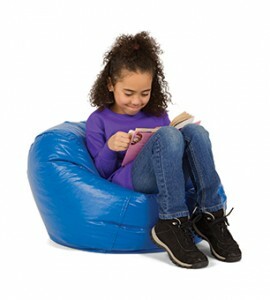 Your child will enjoy the play center, movies, jumpers, and games. The Y will provide your child with a pizza dinner, snacks, and drinks.